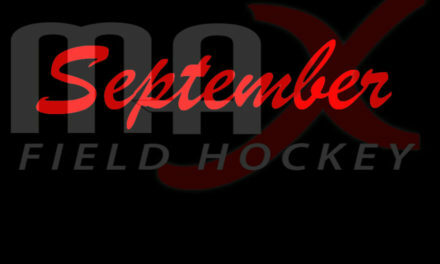 The National High School Coaches’ Association (NHSCA) recognizes a High School Field Hockey Athlete and Coach of the Year each season (Note: these are not MAX Field Hockey awards). This year’s recipients are Kourtney Kennedy (Watertown HS, MA) and Sue Butz-Stavin (Emmaus HS, PA). UConn-bound Kennedy has been a mainstay on MAX Field Hockey over the last couple of years and was our 2015 New England Region Player of the Year as well as our 2016 Preseason New England Region Player of the Year. She very well could have received the post-season award this season as well! Butz-Stavin was our 2015 National Coach of the Year and is the all-time winningest coach in the history of the game and the leader of our #1 ranked Emmaus team this season. She could truly receive this award any given year. Congratulations to both Kennedy and Butz-Stavin! The National High School Coaches Association (NHSCA) is pleased to announce Kourtney Kennedy of Watertown High School in Watertown, Massachusetts as the winner of 2016-2017 NHSCA National High School Senior Field Hockey Athlete of the Year Award. Kennedy closed-out her outstanding high school career without a loss and four straight Division 2 state championships. 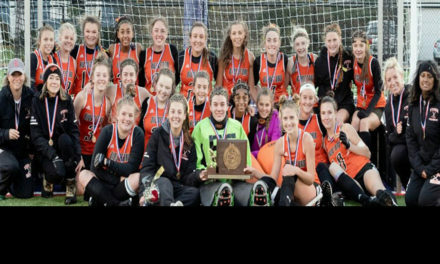 Kennedy scored the winning goal in her team’s 4-3 win over Oakmont Regional in the state final, which extended Watertown’s national record win streak to 123 straight. Watertown also has a 183 game unbeaten streak. The National High School Coaches Association (“NHSCA”) is proud to announce Sue Butz–Stavin, head coach at Emmaus High School in Emmaus, Pennsylvania as its National High School Field Hockey Coach of the Year. 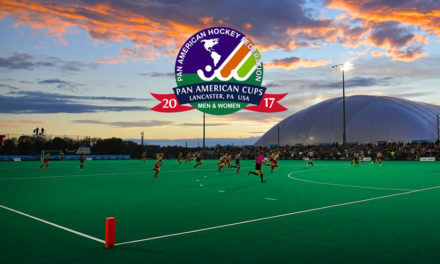 This is the second time Butz-Stavin, who is America’s all-time winningest high school field hockey coach, has received this honor. The only other coach to be honored twice by the NHSCA is Bob Ladouceur, former head football coach at De La Salle High School in Concord, California, who was named National Football Coach of the Year in 2001 and 2004. Butz-Stavin, who was the NHSCA National Field Hockey Coach of the Year in 2007, has quite the list of accolades. She led Emmaus to its second straight Pennsylvania Class 3A state title this last year. The Green Hornets finished undefeated for the second straight season and now own a 55-game win streak. Butz-Stavin, who has been coaching for 40 years, is now seven wins away from 900 lifetime coaching victories. This year’s state title was the 12th for Emmaus under the legendary coach.